Entry in a transit camp for refugees coming from Serbia. 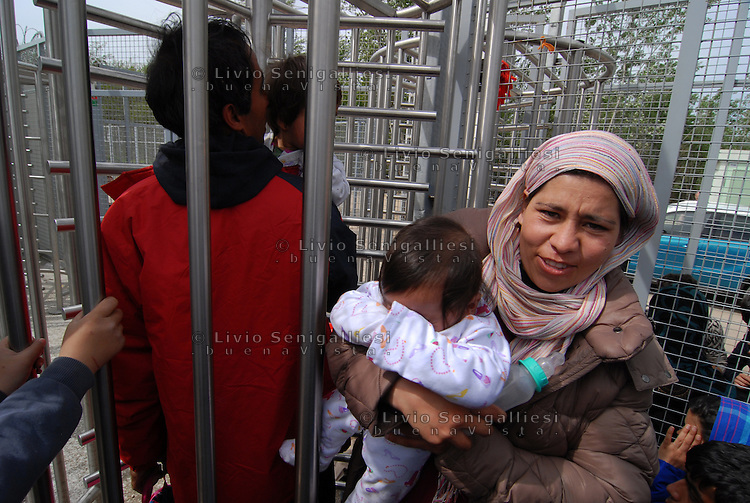 The Hungarian authorities allow the entry of few refugees each day, mostly mothers with little child. Police divide husband from the rest of family. After identification the migrants are sent to detention camps without any respect of international law and of the rules for asylum seekers.